Way back in 2011 when the world was a very different place and I still had some of my own teeth, Bruce and Carole got in touch via letter – yes, pen and paper was an acceptable form of communication back then. 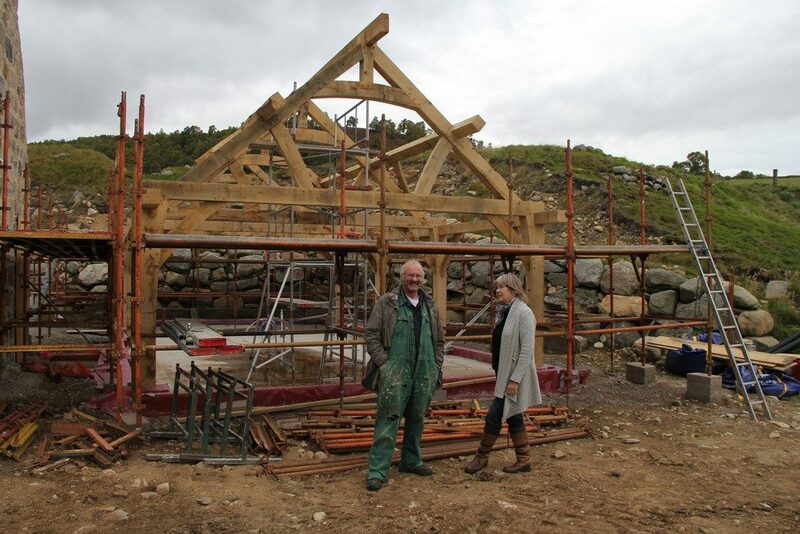 Carole had come across an article in Homebuilding and Renovating magazine in a B & B up in the Highlands of Scotland, and was taken by the story about how we had built our house and wanted to see if there was any way we could erect a timber frame for a future project of theirs in Aberdeenshire. 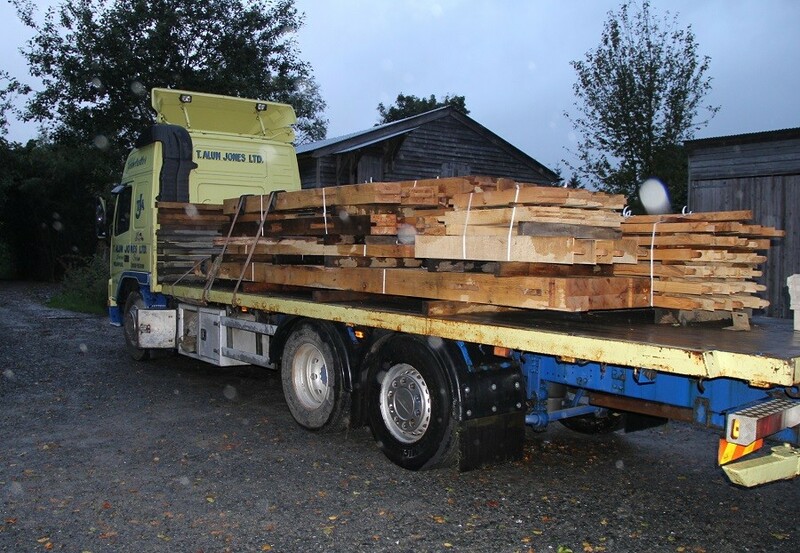 At the time, the timber of choice was to be larch or douglas fir. We corresponded for a while and then Bruce and Carole popped in to see us on a trip down south and we were able to show them at first hand the kind of work we do. 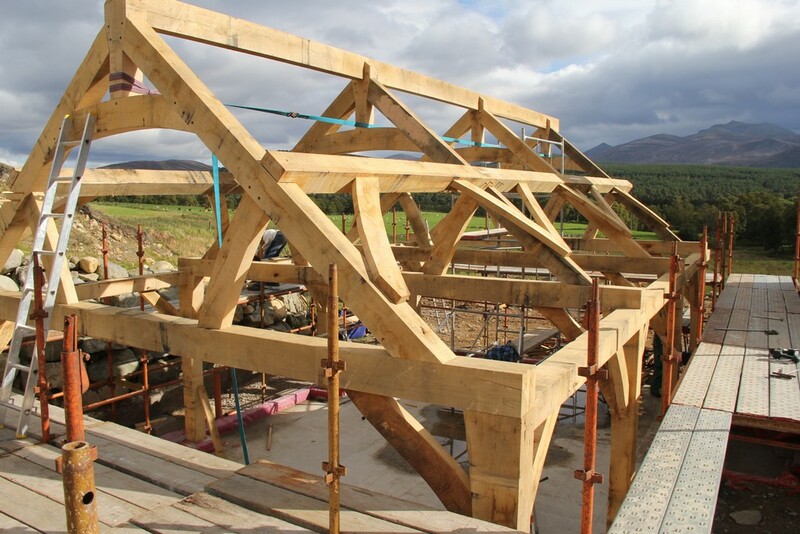 Eventually, 7 years down the line on Tuesday of this week, we put their oak frame up (choice of timber had changed) in the heart of the Cairngorms national park, and so fulfilled Carole’s dream. 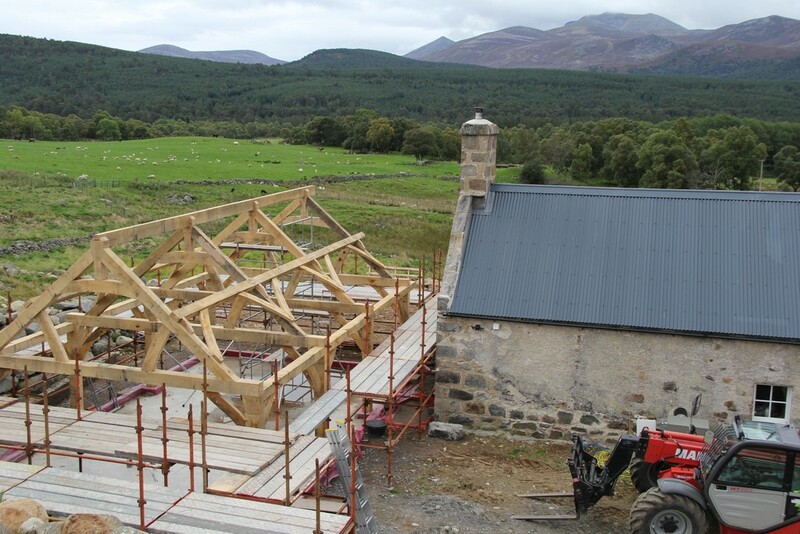 The journey through planning, not to mention the 450 miles up to Scotland, was a long one, but plans were finally approved and we designed and fabricated the simple single storey frame which was to create an extension to their vernacular stone longbarn – essentially an open plan kitchen, dining area as a counterpoint to the cosy stone crofters cottage that they had already restored. 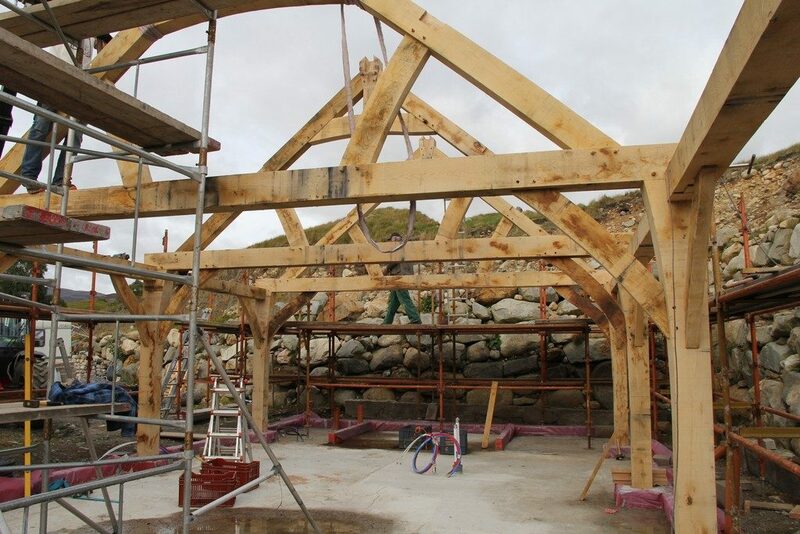 As is sometimes the case with geographically distant projects, our first trip to site can be when we actually turn up with the frame. 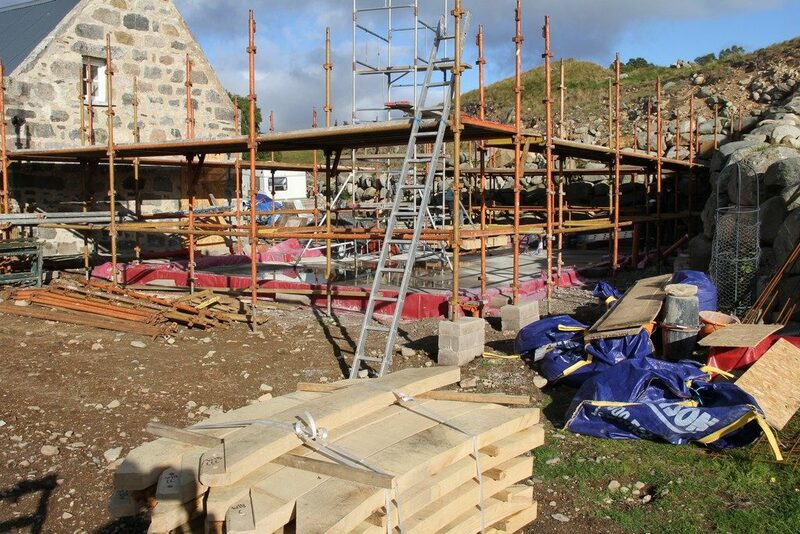 This is obviously fraught with all sorts of potential pratfalls regarding access, scaffolding, groundworks etc which could potentially scupper the raising. 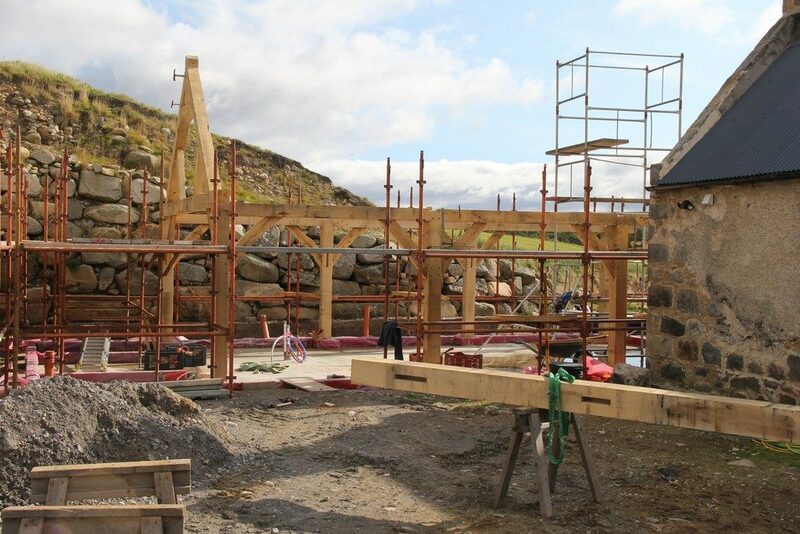 Turning up in Scotland and being unable to raise the structure would have made for a much shorter blog though! 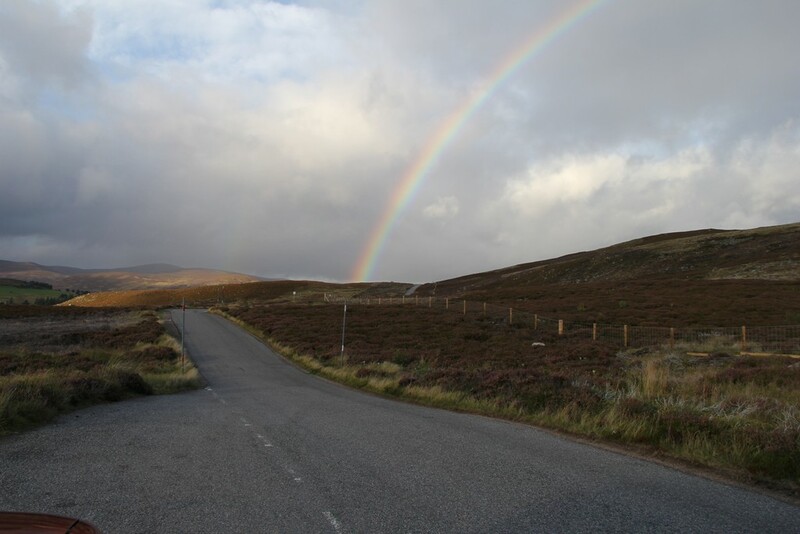 Thankfully, we no longer have to correspond with letters, so emails and phone calls were sent from the M6 motorway to Bruce up in Scotland. 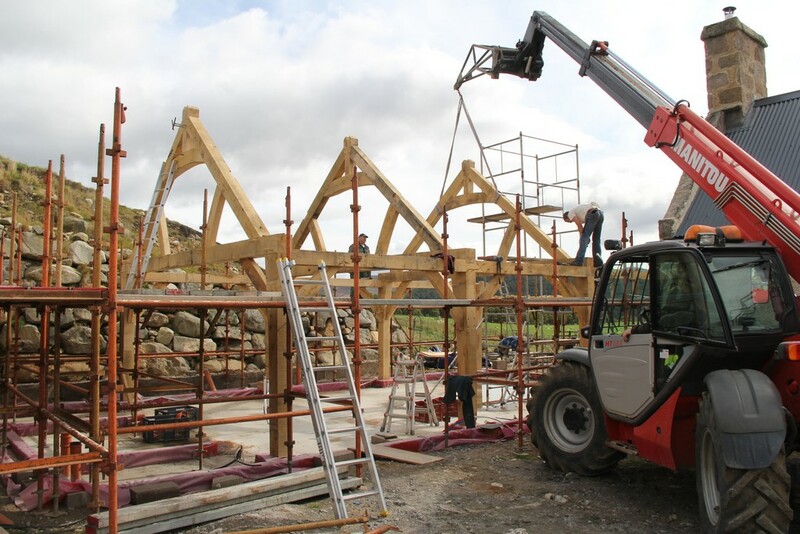 Within an hour he had organised for a telehandler and operator to be on site for the following day, and Sylvan and I could settle back into the monotony of our long road trip. Skip forward numerous service station stops and we veered off into the magical landscape of the Cairngorms national park, traversing heather and granite, mountain and moor. Carole and Bruce hosted us on our weary arrival with a sumptuous meal and a warm welcome. The morning of the raising broke with clear skies and almost no wind! 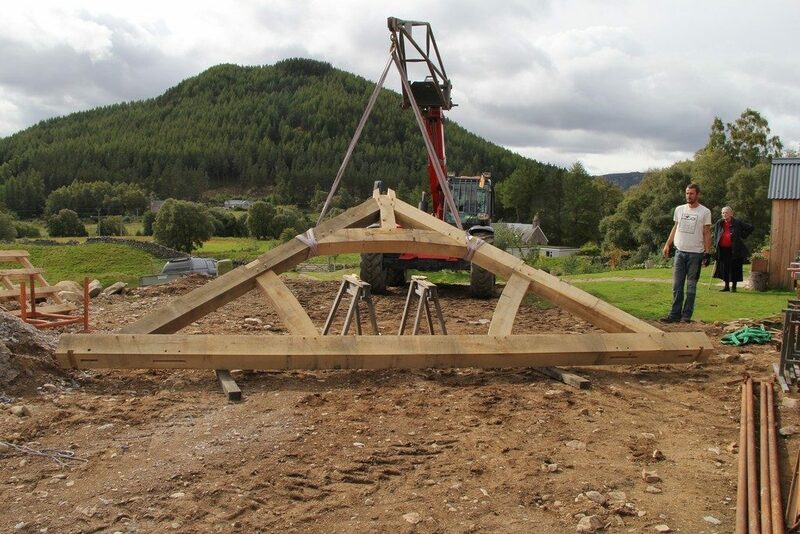 Maybe the crane company just didn’t fancy the job….. 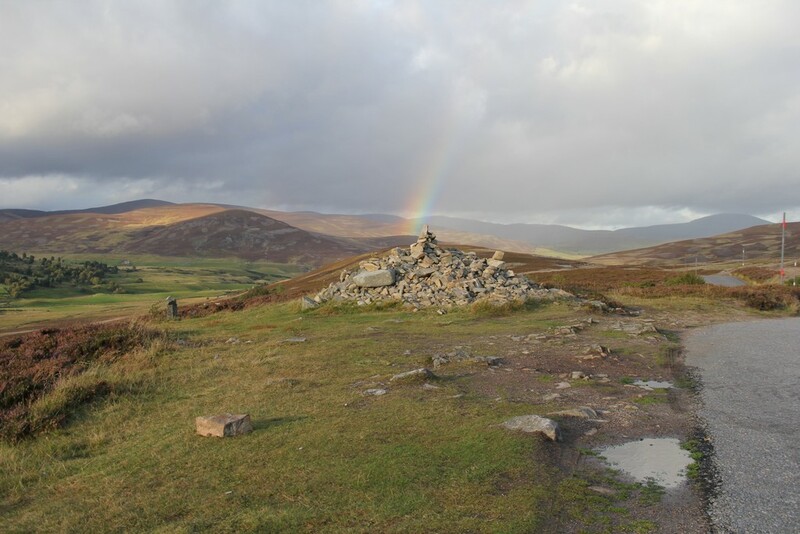 Perfect conditions and the most breathtaking backdrop which took in Lochnagar, a mythical mountain rising to nearly 4000ft and part of the Balmoral estate, meant that the raising zipped along effortlessly. 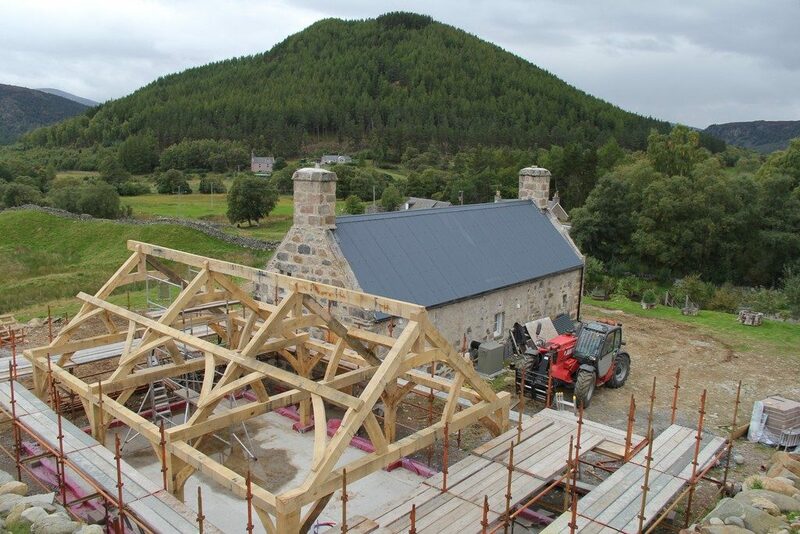 By mid morning bait (or “fly” as they call it in Aberdeenshire) the jowled posts and wallplates were in place, by lunchtime we had assembled and installed the four trusses with curved collars, and by mid afternoon (tea and Battenburg cake, Balmoral style) we had dropped in the purlins, ridges and wind braces. 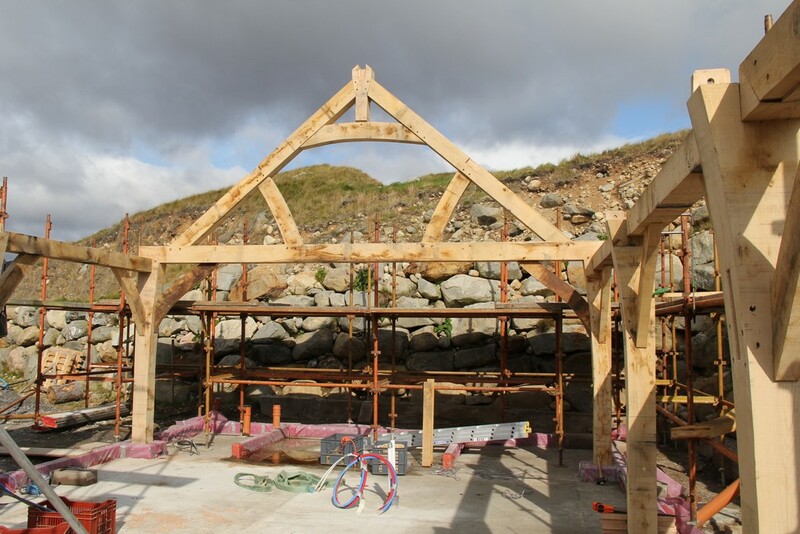 All that remained was to peg everything together and fix down the purlins and ridge – 150mph winds were not unheard of up here so we didn’t want the roof blowing off. 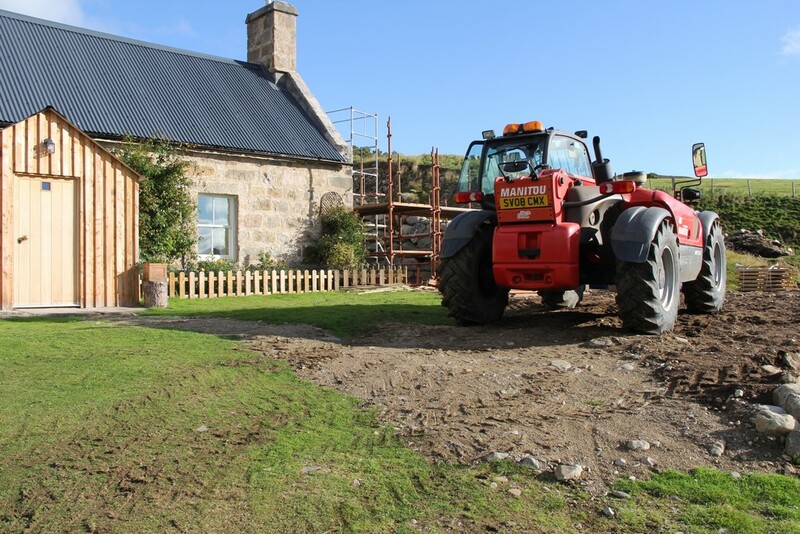 What a truly amazing experience and thanks to Bruce for mucking in cheerfully with the raising and for Gary and his telehandler for providing expert lifting: calm and assured, just how we like it. Most of all, thanks to Carole for finding that magazine all those years ago and for sticking to her dream.